Tis the season for eating together with your family and friends. If you are anything like me, you love to cook but hate cooking around the holidays when you’d much rather be wrapped up in a blanket by the fire reminiscing on holidays past. That’s where making casseroles come in. Seriously, if you haven’t jumped on the casserole train, you need to! 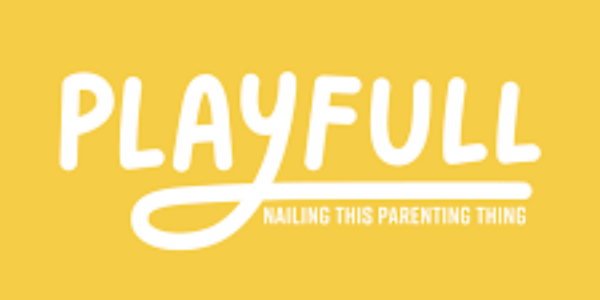 With minimal effort required and a relatively short cooking time, you can be spreading joy for all to hear without yelling it from the kitchen this year. 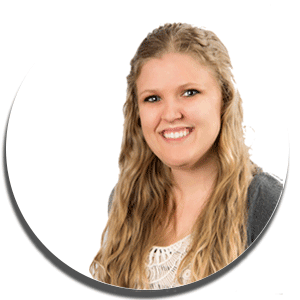 I've learned that making casseroles as side dishes can be particularly helpful too, especially if you are cooking for a crowd who will certainly scarf down all of the rolls and cornbread stuffing and still demand more food. My family is particularly fond of green beans and even grow them in their garden in the summer. 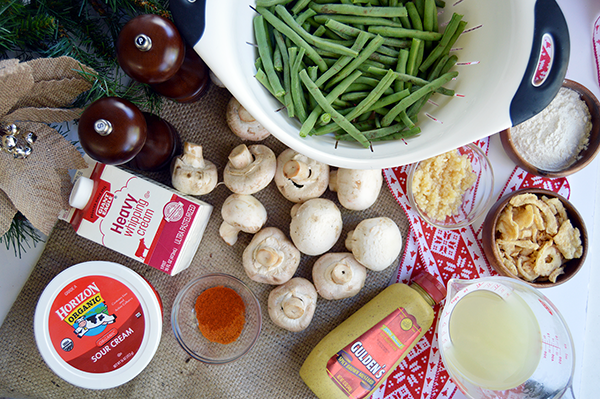 While I may not have acquired the taste for green beans like they have, I'll definitely make an exception on my palette for this delicious green bean and mushroom casserole. Start by snapping off the tips of the green beans and snapping any particularly long beans in half. I blanched mine quickly in some boiling water before transferring the beans into an ice bath. This step is important to ensure the beans stay nice and crisp and won't turn into mush while cooking in the casserole. In a large skillet, add some butter and the sliced mushrooms. 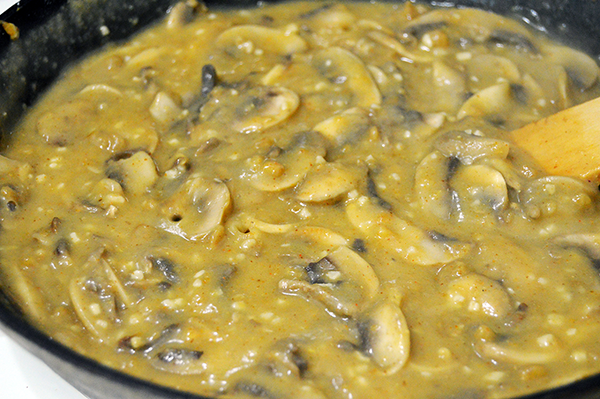 Let the mushrooms release their moisture before adding in the paprika, cayenne pepper, garlic and brown mustard. At this point, the mushroom mixture will be rather liquidy, so let it simmer for a few minutes to evaporate some of the excess moisture. Next, coat the mushrooms in flour. When a crumbly flour mixture forms, add the chicken broth. The sauce should be nice and thick. I loved how this smelled, and I'm sure this mushroomy mix would have been a great sauce for pasta or would even make for a good knock-off chicken marsala if you are short on wine. 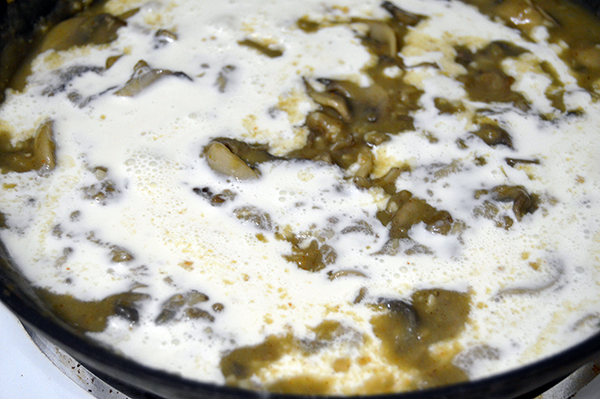 Let the mushroom sauce simmer for a few more minutes before reducing the temperature to low and pouring in the heavy cream and sour cream. Stir the cream into the sauce until it's completely incorporated. Finally, just pour the cooked green beans into a casserole pan and pour the mushroom sauce over them! Bake the casserole for 25-30 minutes, or until the top is bubbling and just beginning to brown. If you'd like, add some crunch with fried onions (I used the kind you can find in the salad aisle) or even mozzarella cheese. 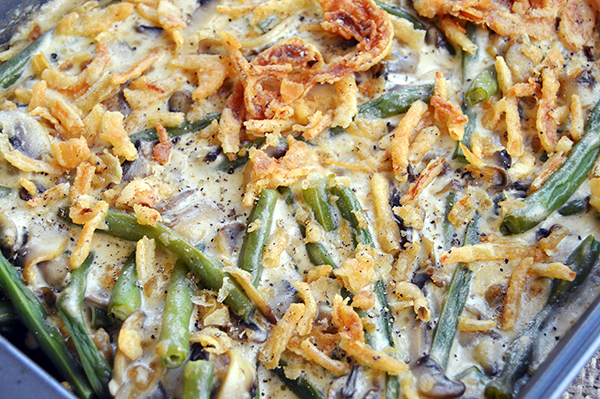 However you decide to top it, this green bean casserole is as simple as it is delicious! Bring a pot of water to a boil. Prepare a large bowl as an ice bath. 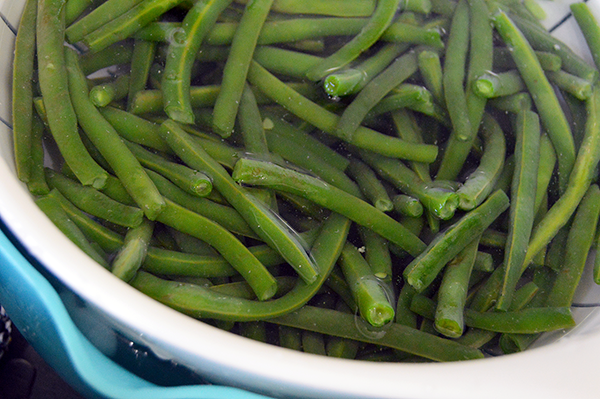 Add the trimmed green beans to the pot of boiling water for 2-3 minutes (or until the water starts boiling again). Remove and immediately transfer to the ice bath to halt the cooking process. Preheat the oven to 375°F. In a large skillet over medium high heat, melt the butter and add the sliced mushrooms. 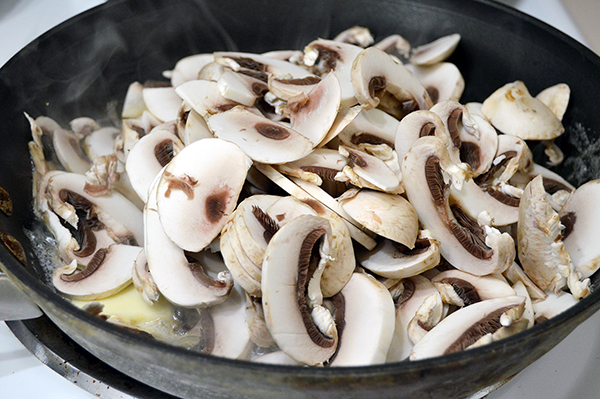 Saute the mushrooms for 4-5 minutes, or until the mushrooms have started to lose their moisture. 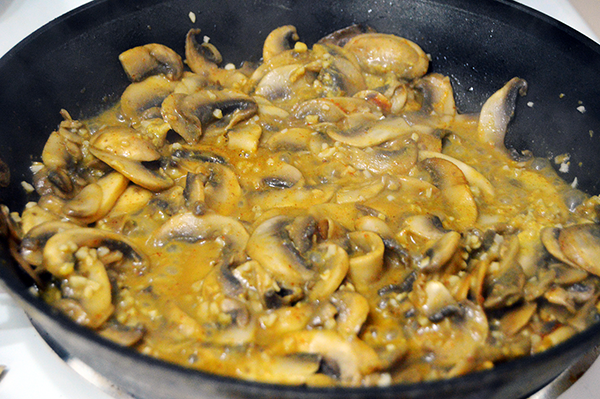 Add the paprika, cayenne pepper, spicy brown mustard, and garlic to the skillet with the mushrooms. 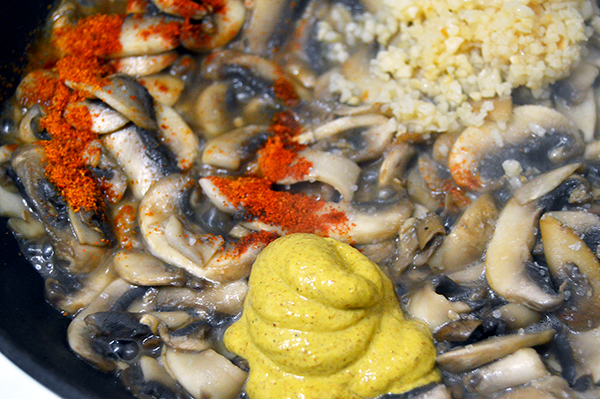 Coat the mushrooms in the spices and let simmer for 2-3 minutes as the garlic becomes fragrant. Season with salt and pepper. 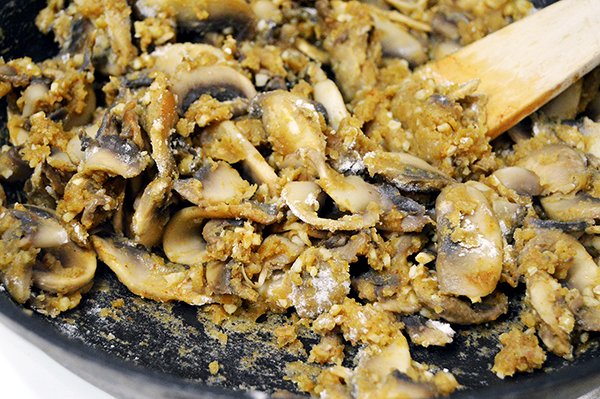 Sprinkle the flour into the pan and cover the mushrooms completely. Pour in the chicken broth and bring the sauce to a simmer for 2-3 minutes. Reduce the heat to low and add the sour cream and heavy whipping cream. Stir until completely incorporated. Let the sauce stand to thicken for 3-4 minutes. In a casserole pan, arrange the green beans on the bottom so there are very few open spaces. Pour the mushroom sauce over the top of the green beans in an even layer. Bake the casserole for 25-30 minutes or until the top is bubbling and just beginning to brown. Sprinkle with french fried onions or mozzarella cheese, if you desire. 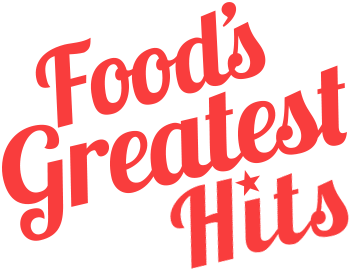 Serve right away and enjoy!